We believe that Lunchtime should be the highlight of the day for everyone at Petersfield Church of England Aided Primary School. We want to help children gain a real appreciation for good quality food, where it comes from, how it’s produced and why healthy food is important. School meals are provided by Cambridge-based specialist schools caterer, The Lunchtime Company. They provide delicious, nutritious and healthy meals every day. Together we offer children a wonderful choice of hot food, fresh vegetables, freshly baked bread, fresh fruit, yogurt, jacket potatoes… there really is something for everyone. 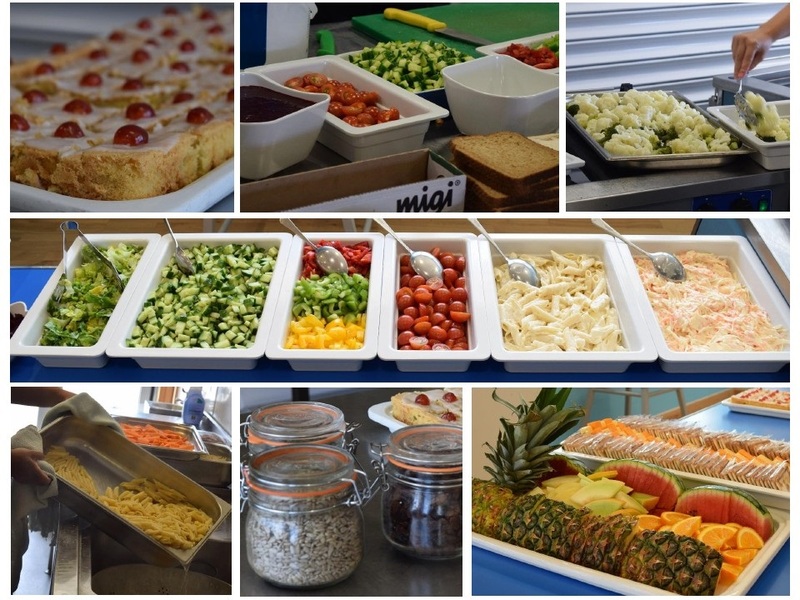 All meals are cooked from fresh ingredients every day, sourced locally (where possible within a 60 mile radius of the school), and prepared on-site. Over the course of the academic year we provide an array of theme days, activities, cookery classes and charity events – these are advertised around the school and on the website. Over the year, we would really love to invite parents, grandparents and carers to come and dine with your children and experience first-hand the amazing food. Please look out for these dates in the school calendar. We look forward to sharing with you. For further guidance about what makes a healthy school packed lunch, please see NHS Choices and NHS Change 4 Life for information about healthy lunchboxes. Pay for school meals with ParentPay. ParentPay is our online payment system which we introduced to simplify the way parents pay for school meals, school visits, music lessons and also for the Puffins Out of School club. Dinner money can be paid as and when necessary to keep your account in credit. There is the flexibility to pay weekly, termly or as you choose to suit you. Meals must be paid for in advance.